Washrooms are a necessity for public buildings and spaces and often some of the most commented on facilities in the tourism industry. Dunhams have recently been able to assist Great Yarmouth Borough Council in revamping their main seaside public washrooms. This case study is based on – The Conge, Great Yarmouth. 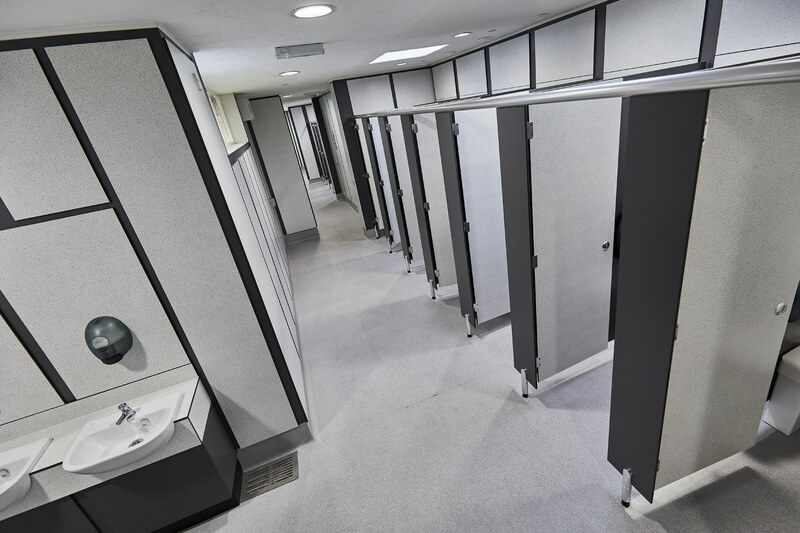 The Conge Washrooms are situated on the seafront and being open to the public all year round experience their fair share of sea, sand and sun in all seasons. This required robust features to cater for the high traffic (particularly in the summer months) and all year open access. 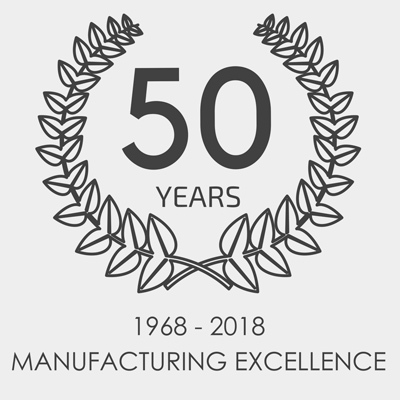 This highlighted the need for essential features such as vandal resistance, easy maintenance and durability without putting aside the usual requirements for the washrooms to be functional and attractive. 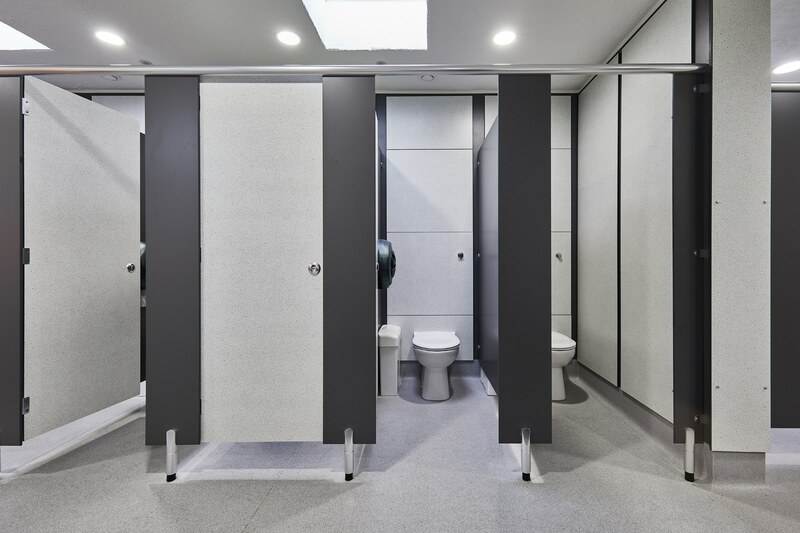 Dunhams Challenger SGL cubicle range was used throughout, which living up to its name, promises a robust, vandal resistant solution, suitable for the high traffic received. 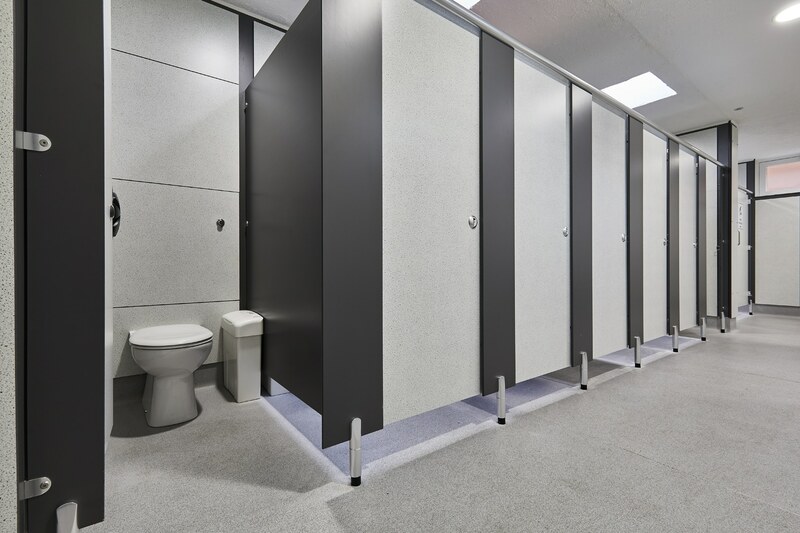 SGL guarantees protection to all areas of the washroom – from toilet cubicles to duct panelling and vanity units. Solid Grade Laminate vanity tops were proposed for their exceptional durability in high traffic public areas. These are impervious to water and therefore the ideal long-life solution for a public area washroom. 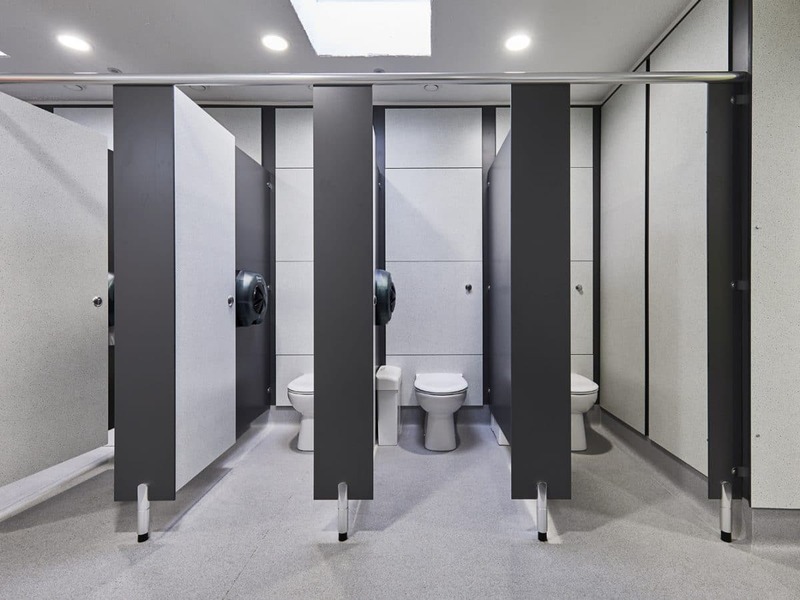 In this washroom project, Dunhams provided all sanitayware as part of the package to assist the client and streamline procurement. Choice of ‘Luna Splash’ doors with ‘Contemporary Grey’ divisions and pilasters gives a smart, neutral colour approach. 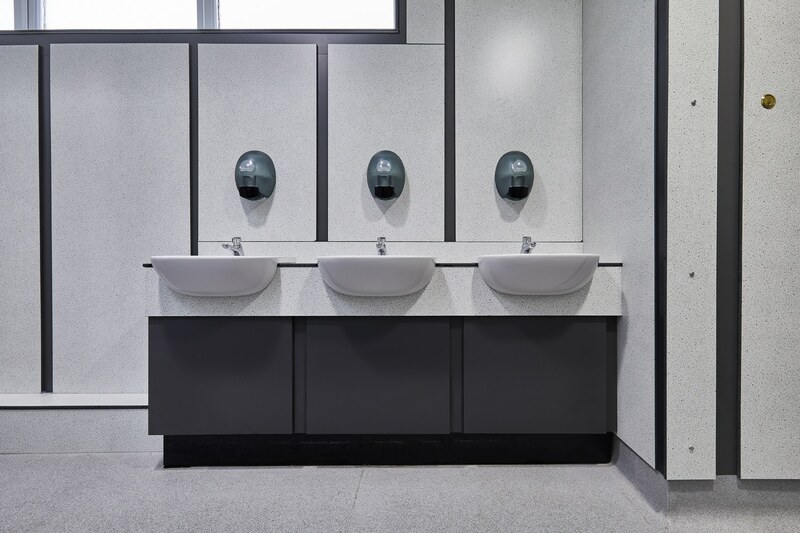 Complimented with our Challenger Duct Systems in the same colours and vanity units with ‘Luna Splash’ tops and ‘Contemporary Grey’ panels and shadows it results in a new fresh washroom fit out. Find out more about our washroom colour range. Working on a similar project? Contact one of our expert consultants for a quote today!